Vernon, British Columbia--(Newsfile Corp. - March 22, 2019) - True Leaf Medicine International Ltd. (CSE: MJ) (OTCQX: TRLFF) (FSE: TLA) ("True Leaf" or the "Company"), a leading global cannabis and hemp wellness brand for pets, at the request of IIROC, wishes to clarify the news release issued on March 15, 2019. On March 15, 2019, True Leaf announced: "Working to raise its profile among U.S. investors, the Company has also retained KCSA Strategic Communications as its investor relations counsel." True Leaf has retained KCSA Strategic Communications ("KCSA"), a leading New York-based communications firm, to support the Company´s investor relations efforts in the United States. KCSA will employ a comprehensive communications program designed to increase awareness of True Leaf across the investment community. Since KCSA´s inception nearly fifty years ago, the firm has developed a reputation for its innovative and dedicated work representing public companies, and, most recently has become one of the leading communications firms within the emerging cannabis industry. For its services supporting the Company´s investor relations efforts in the United States, KCSA will receive $8,000 per month (USD). The term of the engagement will be initially two months and then ongoing on a month-to-month basis. The Company has the right to terminate the relationship on 30 days´ notice. 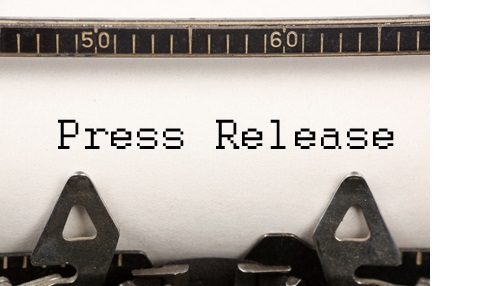 This news release contains forward-looking statements and management may make additional forward-looking statements in response to your questions. Such written and oral disclosures are made pursuant to the Safe Harbor provision of the Private Securities Litigation Reform Act of 1995 and True Leaf hereby claims such safe harbour protection for all forward-looking statements. True Leaf believes that the expectations reflected in such forward-looking statements are based on reasonable assumptions; however, True Leaf´s actual results and performance and the value of its securities could differ materially from those set forth in the forward-looking statements due to the impact of many factors summarized in the "Risk Factors" section of True Leaf´s Offering Circular Form 1-A filed with the U.S. Securities and Exchange Commission and Canadian securities regulatory authorities and other discussions of risk factors contained in True Leaf´s periodic filings or supplements to the offering circular. True Leaf´s Offering Circular Form 1-A can be found at ir.trueleaf.com. Forward-looking statements speak only as of the date they are made. True Leaf undertakes no obligation to update or revise any such information for any reason after the date of this presentation unless required by law.